Can't make up your mind between the 2017 Ford Escape and the 2017 Mazda CX-5? 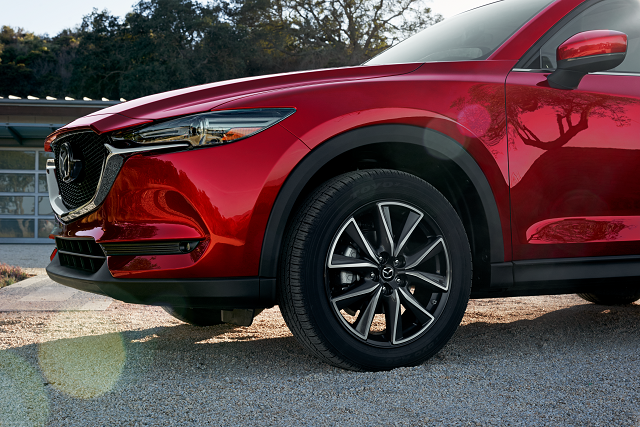 Come see us at Spinelli Mazda and book a test drive today in the 2017 CX -5; you'll understand right away why it is one of the most popular SUVs on today's market! We offer you one of the largest inventories of new Mazda vehicles in the Lachine area; come see us and pick out your next vehicle! 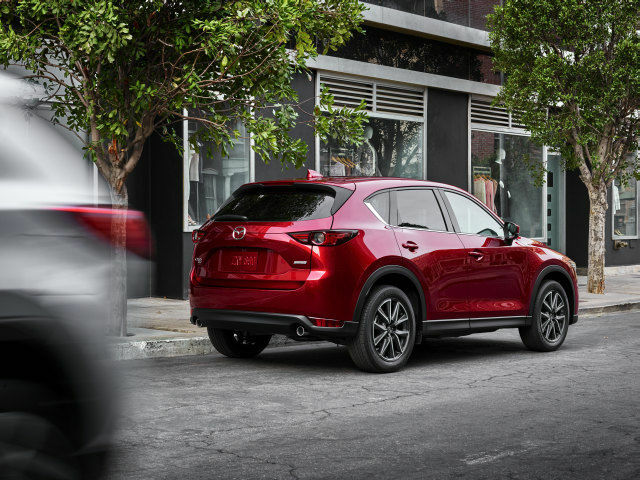 With the choice between a 2.0 L 4-cylinder engine or 2.5 L SKYACTIV that will give you between 155 and 187 horsepower, the Mazda CX-5 is capable -standard- of towing up to 2000 lb while the standard 2017 Escape only comes with a towing capacity of between 1500 and 2000 lbs if you opt for the 168 or 179 horsepower engines. Also, the Mazda SUV has a highway fuel consumption rating that is lower than its Ford counterpart. In fact, the CX-5 burns between 7.4 and 8.3 L/100 km, depending on whether it is equipped with front-wheel drive or all-wheel drive, while the Ford Explorer can't do better than 7.8 to 8.7 L/100 km. 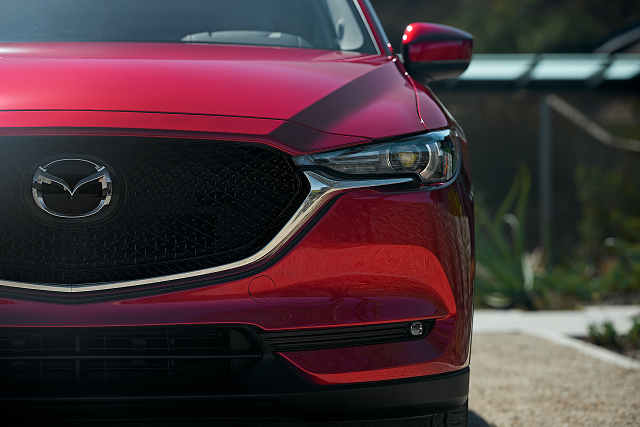 What's more, the Car Guide gave a score of 84% to the CX-5, compared to only 74% for the Escape. The i-ACTIVSENSE suite which includes adaptive cruise control, brake assist, forward obstruction warning and more. At Spinelli Mazda, you can take advantage of our many Mazda financing offers as well as our current Mazda promotions. Don't wait any longer and come try out the all-new 2017 Mazda CX-5 at Spinelli Mazda in Lachine!